Stirlin are pleased to announce we have been appointed to carry out the renovation and extension to an existing property in Carlton-on-Trent, following a competitive tender process. The scheme, consisting of a two-storey extension and a complete refurbishment of the existing property, includes large sliding glass doors and a first floor terrace, connecting the property to the surrounding gardens and lake. 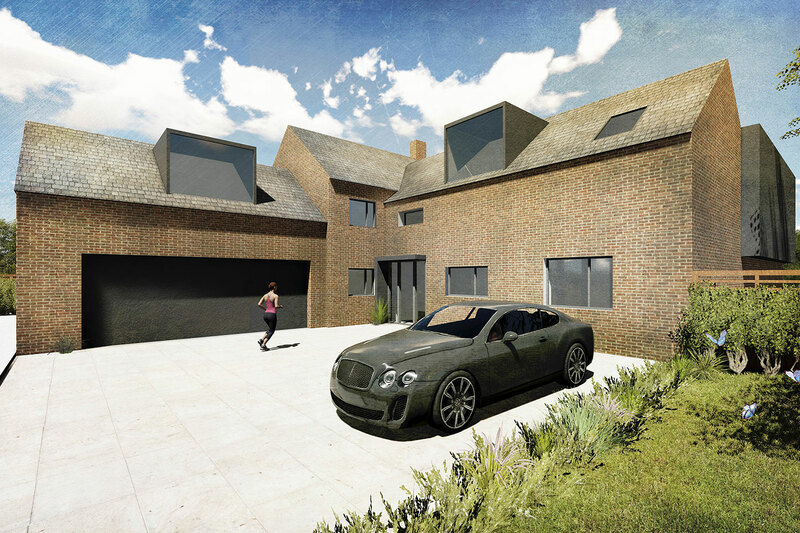 The works also include a new bespoke kitchen and pantry, study/library and gym. The project will further strengthen our reputation for delivering high quality, well designed buildings for private clients. This follows the recent completions of The Man Cave and The Woodwards, which was ‘Highly Commended’ at the East Midlands LABC Building Excellence Awards. The contemporary extension has been designed by AR Design Studio, an award-winning RIBA Chartered Practice based in Winchester. Stirlin are providing a fully managed service, including all construction, plumbing & heating, electrical, joinery and decoration works.